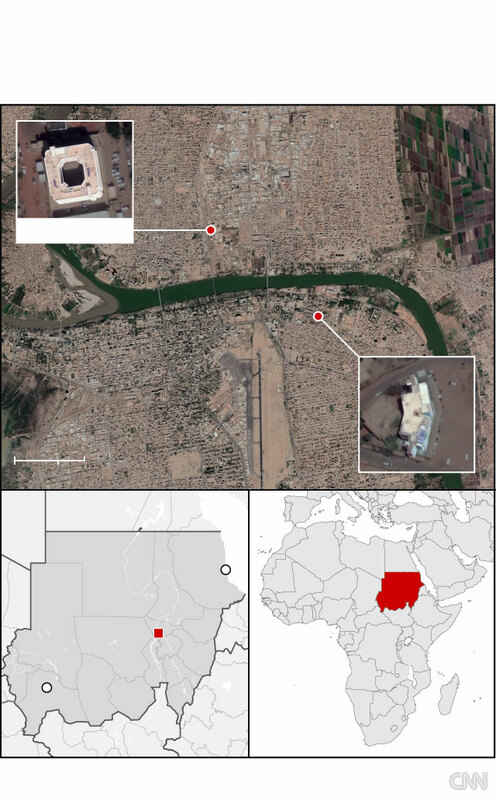 An undercover CNN team in Khartoum witnessed the brutal crackdown on protests which began over a rise in the cost of living but have escalated into a push for President Omar al-Bashir’s removal. At demonstrations in a residential area of the capital in mid-March, CNN filmed the indiscriminate violence that has become synonymous with Sudan’s security forces. Soon after one rally started, national security agents descended on the crowds, sending people scattering into alleyways and neighborhood homes. We sought refuge in a nearby safe house, where a local family provides shelter to protesters – and people like us – who are trying to avoid detection. Getting caught could have meant death. People spoke in hushed tones as they dashed quickly through the gates and inside, one whispering “God protect us” as they locked the door. Peering out from behind the curtains, we could see officers dressed in riot gear, batons in hand, hunting for anyone who might have been at the protest. Suddenly, they were trailed by the dull and ominous thud of a tear gas cannon being fired. We were trapped. Hours passed as we waited, stuck inside while the troops stalked the streets. Eventually they dragged the neighbor’s son out of the house next door, hitting him as a woman screamed. The young man was swiftly spirited away by security forces, like so many others who have been involved in Sudan’s uprising. Their accounts of what happens behind closed doors are far worse. More than 3,000 people have been arrested since protests began in December, based on testimony gathered by CNN from activists, lawyers and victims. Many have been taken to secret detention sites known as “ghost houses,” which the government says don’t exist, and where detainees say they face physical and psychological torture. 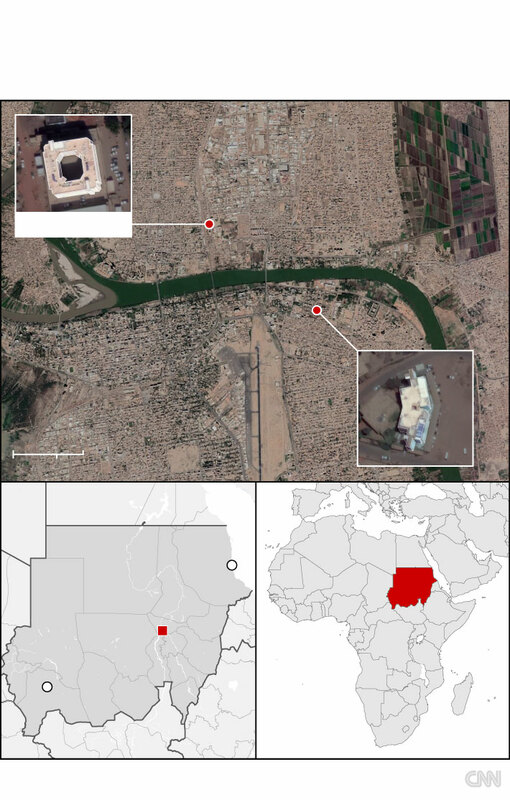 At one such facility, located north of the snaking Blue Nile river in Khartoum, sub-zero temperatures are allegedly used to torment prisoners. The detention center is known as Al Talaja, or the “Refrigerator.” No one who has spent time inside has spoken about it on the record until now. “Because we were so severely beaten, we went numb, I couldn’t feel my legs and arms. The place was made so cold. It felt like there were knives piercing our bodies,” Wifaq Ahmed Abdullah, an activist detained in Khartoum’s Burri district in January, told CNN. Unlike the brutal beatings doled out by security agents, the cold holding cells in the Refrigerator leave no physical marks on the body. “I only spent two days there, but they were the worst two days of my life. I don’t know, but I really wonder how the people who spend weeks and months there cope with the experience. Only two days were enough to make me break down,” Abdullah said. Sudan’s National Intelligence and Security Service (NISS) has the power to detain individuals without a warrant for up to 45 days, granting it impunity to act without judicial oversight or accountability, in violation of international laws on arbitrary arrest and detention. Ghost houses were a staple of Bashir’s rule in the 1990s before they were eventually phased out. But, since the protests picked up pace earlier this year, a new wave of such facilities have cropped up in nearly every neighborhood in the capital, activists told CNN. Another site described to CNN by eyewitnesses is an imposing green building in the Garden City district, once owned by former Interior Minister Abdel Rahim Muhammad Hussein, an indicted war criminal. In the parking lot outside, we witnessed security trucks dropping off what appeared to be detainees. The moniker “ghost house” alludes to what happens behind closed doors there: people disappear. If they get out at all, it’s as a shadow of their former selves. We gathered detailed testimony from detainees who said they were abused in these black sites. Graphic images shared with CNN show: dark red blisters, bruising from baton beatings, scabbed scars criss-crossing backs, and bandaged, bloodied heads – all evidence of systematic torture according to human rights groups and observers. These are just some of the severe injuries that doctors say they’ve been treating. Other demonstrators have arrived at hospitals suffering asphyxiation from teargas inhalation, or wounds from rubber bullets and live ammunition. Sudan’s government has reported 32 fatalities, including three security personnel, since protests began in December, but doctors and opposition activists suggest the toll is much higher. At least five more people were killed Saturday in one the biggest demonstrations so far, according to an opposition union of doctors. Medical professionals say that estimating an accurate toll of those wounded and dead is nearly impossible because demonstrators often avoid getting treatment – fearful of retribution from security forces. On January 9, security agents stormed a hospital in Omdurman, a suburb of Khartoum, firing live bullets and tear gas into the emergency ward as they pursued people seeking treatment for injuries sustained during demonstrations earlier that day, according to the UN Human Rights Office and Amnesty International. Two months later, when CNN visited the teaching hospital, it was still surrounded by national security agents. Inside the hospital, some doctors told CNN that many of their names had been placed on a government registry of so-called “collaborators,” endangering their lives and the lives of their families. “I no longer carry around my ID cards that say I’m a doctor,” said one female physician, who spoke with CNN under the condition of anonymity. 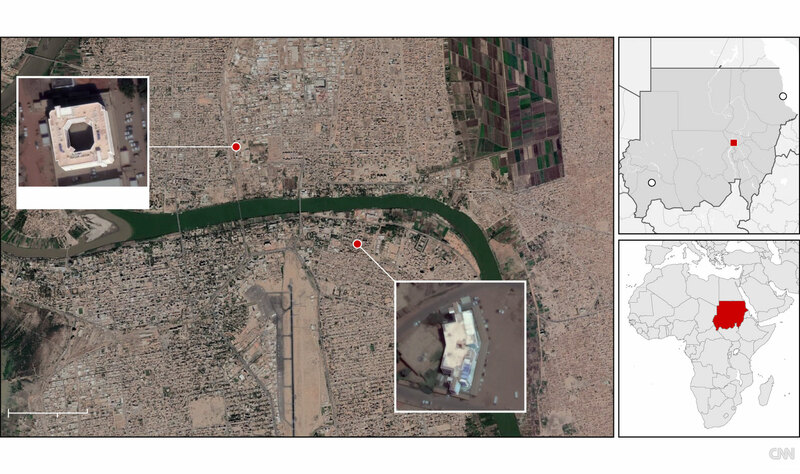 Targeting medical professionals is considered a war crime under the Geneva Conventions, and it’s clear the Sudanese government doesn’t want anyone interviewing doctors operating here. A spokesman for Bashir’s party told Reuters that the Khartoum governor had launched a “fact-finding committee to investigate what happened at Omdurman Hospital.” The Sudanese government has not responded to CNN’s multiple requests for comment. Before long, we were told security agents roaming the hospital corridors were looking for us and we had to leave. Exiting through a back door, we were able to escape. A day after the violent crackdown on the protest witnessed by CNN, a US Congressional delegation arrived in Khartoum to meet with government officials and opposition leaders. Negotiations to re-engage with the Sudanese government, which could bring two decades of hostile relations to an end, have been widely viewed as a bid by the Trump administration to improve regional counter-terror cooperation and boost its diplomatic clout in Africa. But CNN has also learned that one of the Trump administration’s key aims is to address outstanding cases brought by Americans against Sudan for its links to the al Qaeda bombings of US embassies in Dar es Salaam, Tanzania, and Nairobi, Kenya, in 1998, and the attack on the USS Cole in 2000. Sudan has vehemently denied allegations that it provided material support for the attacks, but, last November, the government announced it had signed a cooperation agreement with the FBI, and, as part of normalization talks, will participate in “good faith negotiations” to agree financial compensation for claimants. Sources close to the talks tell CNN that if the US was able to deliver compensation to the families of American victims, after all these years, it would be seen as a major coup for Trump. The rapprochement with President Bashir, one of the world’s longest serving dictators, follows a familiar pattern of US President Donald Trump cozying up to some authoritarian leaders. The US formally lifted a raft of sanctions against Sudan in October 2017, citing signs of progress in several areas, including Khartoum’s cessation of hostilities in the war-torn Darfur region and a push to promote regional stability. At the time, State Department spokeswoman Heather Nauert said that any further normalization of ties would require more progress by the Sudanese government, including ensuring human rights. A year later, Nauert outlined six key criteria – including freedom of the press – that Sudan would need to abide by in order to be removed from a list of countries considered sponsors of terrorism. Sudan has detained an unprecedented number of reporters and sought to censor news coverage of protests. Journalists found reporting on the demonstrations risk life imprisonment and the death penalty. Five months later, despite a state of emergency aimed at crushing dissent, the US is pressing on with the second phase of bilateral dialogue. Rep. Gus M. Bilirakis, a Republican from Florida who led the US delegation in Sudan, said in a statement that the next round of talks would focus on financial compensation related to the US embassy bombings and USS Cole attack. Bilirakis also acknowledged the mounting tensions in Sudan and called on authorities to release all political detainees, including an American citizen – one of three dual-nationals known to have been detained by Sudanese authorities since demonstrations began in December. Rudwan Daoud, a Sudanese-American activist who was arrested at a protest in January and detained for six weeks in the NISS headquarters without charge, told CNN that he was disappointed to see normalization talks moving forward. Nima Elbagir reported from Khartoum, and Eliza Mackintosh reported and wrote from London. Michelle Kosinski contributed to this report from Washington. At least five people were killed in the Sudanese capital of Khartoum during demonstrations calling for President Omar al-Bashir's ouster Saturday, according to an opposition union of doctors, the Central Committee of Sudan Doctors. The Supreme Court on Tuesday ruled against victims and families of the October 2000 attack on the USS Cole in their lawsuit against Sudan. A speech Omar al-Bashir made to police on Sunday was taken by protesters as a sign that the Sudanese President had declared open season on them. But his tactics and the language are not new. A camera phone captures the scene, filming from behind a makeshift shelter. Shots ring out in to the street. In the mayhem, a body drops and you hear shouts in Arabic, "he's dead, he's dead," as a body lies on the ground motionless.